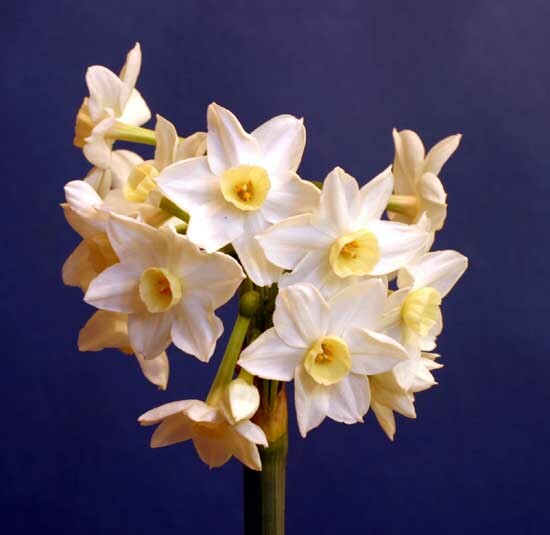 There are thirteen descriptive divisions of daffodils. (see photo at the bottom of this page). The cup is as long or longer than the petals. 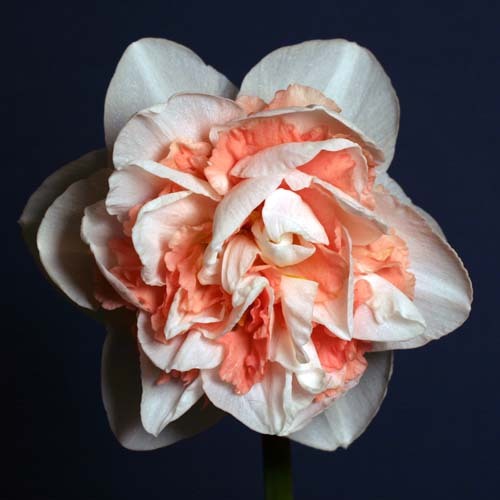 There is one bloom per stem. the length of the petals. There is one bloom per stem. 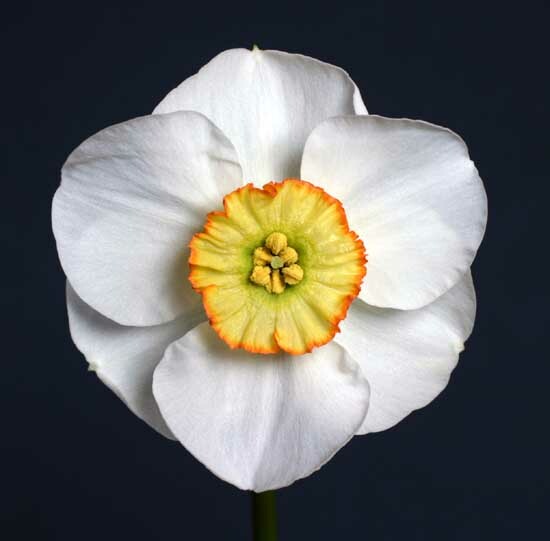 The cup length measures not more than 1/3 of the length of the petals. There is one bloom per stem. 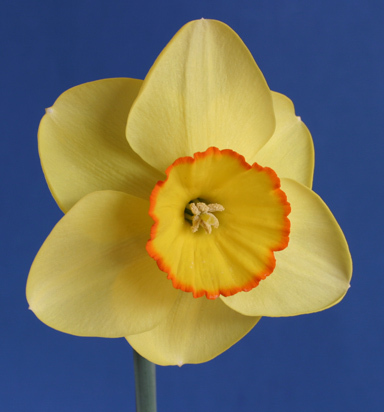 Daffodils have a clustered cup and petals. There can be one or more flowers per stem. Daffodils have blooms that hang like bells. 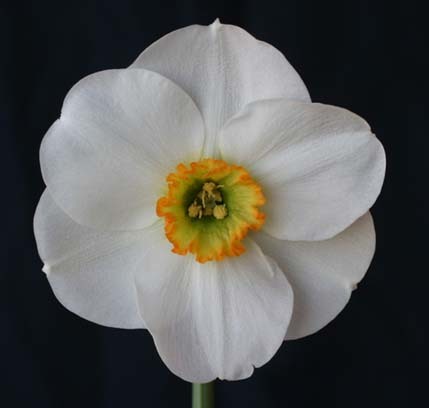 There are usually two or more blooms per stem. Daffodils have a wind-swept appearance. 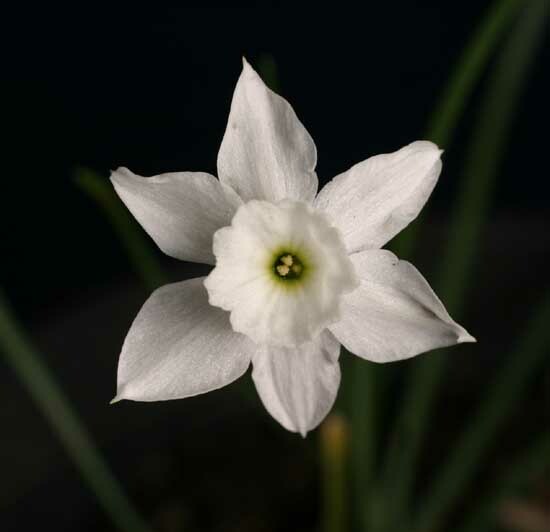 Daffodils have small flowers with flat petals. 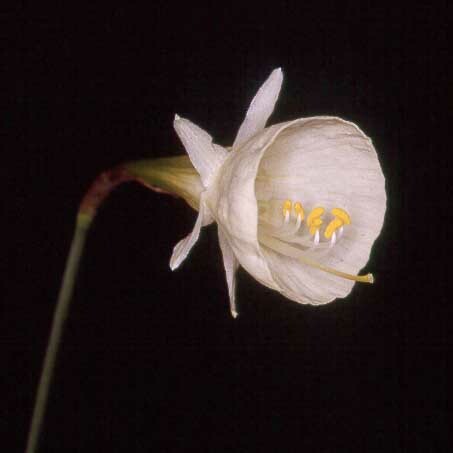 There are usually one to three blooms on a stem. They are very fragrant. The foliage is narrow, reed-like. 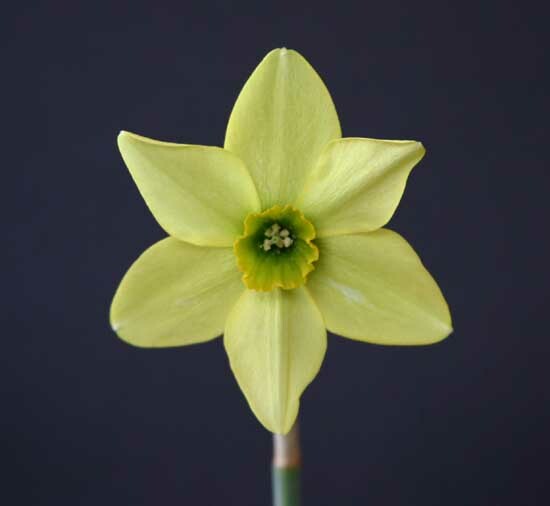 Daffodils have clusters of florets (usually more than three) on a stem. The foliage and stem are very broad. These flowers are very fragrant. 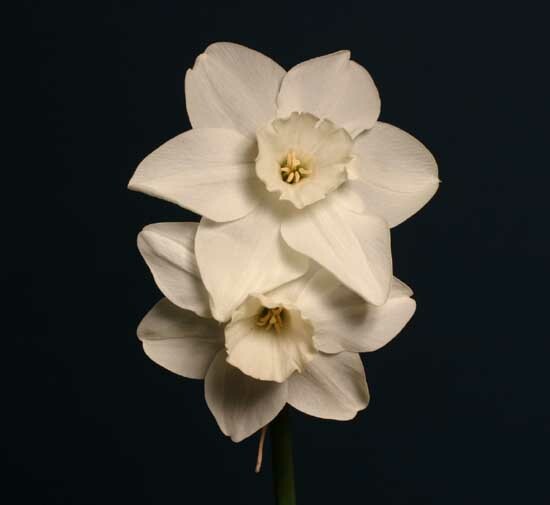 Daffodils have extremely white petals and are noted for this quality. The cup is a small, crinkled disc. Cups most often have a green center, surrounded by yellow, with a red rim. 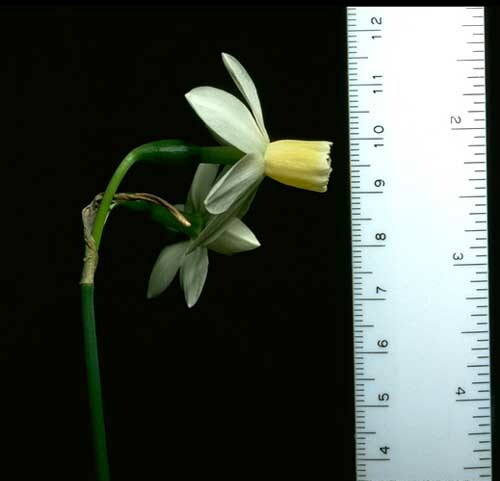 There is usually one fragrant bloom per stem. 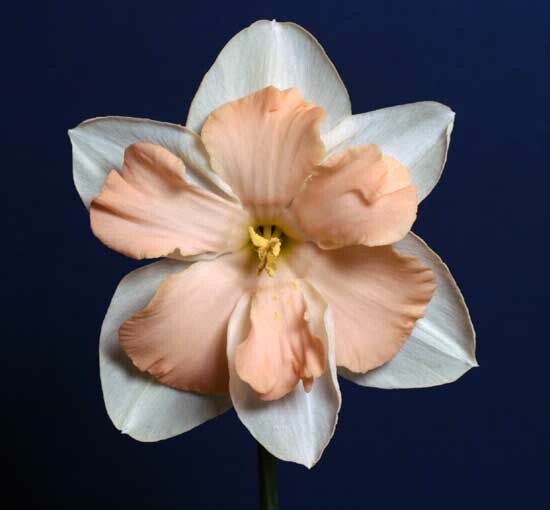 Division 10 consists of daffodils in the “hoop petticoat” form pictured above. 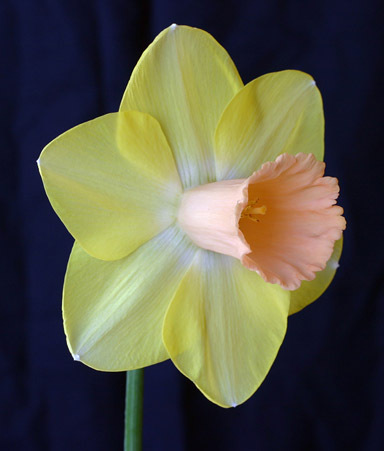 Daffodils have cups split at least one-third of their length. 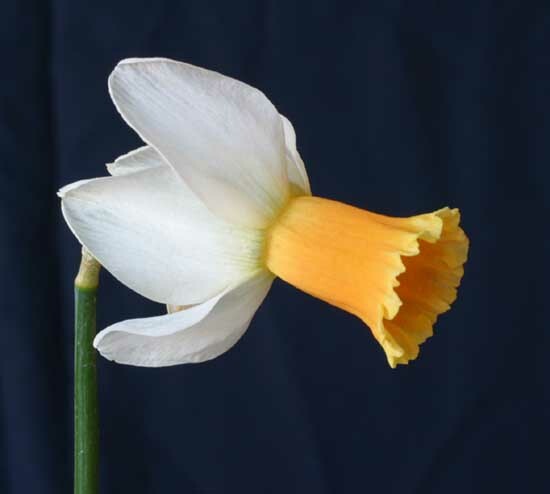 Division 12 consists of daffodils not classifiable by the first 11 divisions. Division 13 consists of the wild, natural flowers. 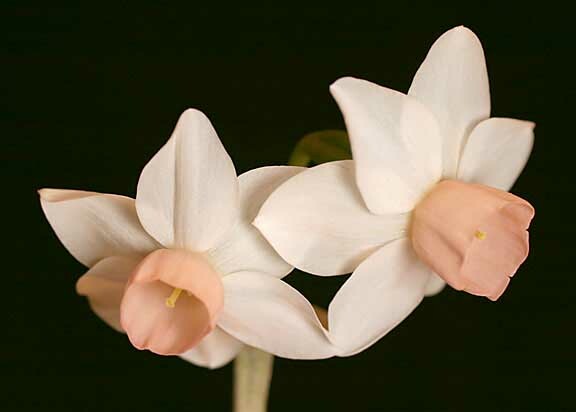 only with smaller blooms, usually less than 1.5 inches in diameter.